Home English Big Stories Will Rajamouli satisfy everyone in RRR? 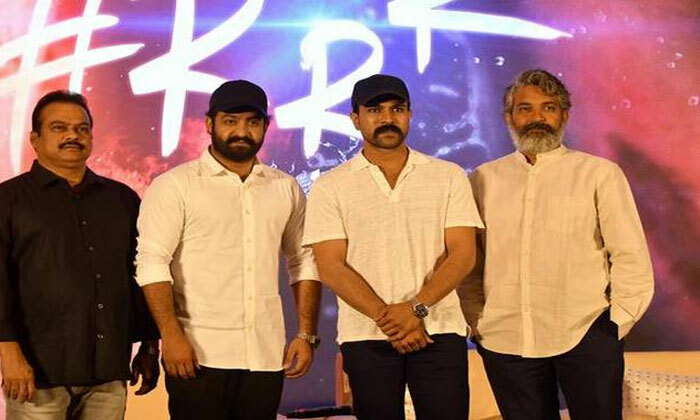 Will Rajamouli satisfy everyone in RRR? Heroines rarely get traction in Rajamouli films. They do not really have any importance. But, this time around, he is making RRR with two heroines. Giving equal footing to the two big-ticket heroes is no small deal and he has two more heroines to showcase. How will he do? At such a juncture, he has roped in Bollywood’s top-notch heroine Alia Bhat. Alia is known for both performance and well as glamour. She had won awards galore for her performance in Razee. Given this, can Rajamouli do justice to Alia in RRR? It is being said that Karan Johar had convinced her to work with Rajamouli and Alia did not even ask for the story and the screenplay. But, the audience expect a lot from Alia in the film. One only hopes Rajamouli will satisfy both the audience as well as the top notch stars acting in the film. ​DJ’s teaser to hit the screens soon!